When you have a dental condition that requires medical attention as soon as possible, an emergency dentist is exactly what you are searching for. While most dental centers are open during the weekdays, in some urgent dental care clinics, there are dentists open on Saturday and dentists open on Sunday. This makes the lives of countless patients easier since some people cannot make time during the weekdays to see a dentist, despite suffering from a serious dental issue. I was able to find a dentist quickly when I needed a tooth extraction. It’s a great website if you have a dental emergency in Salinas. 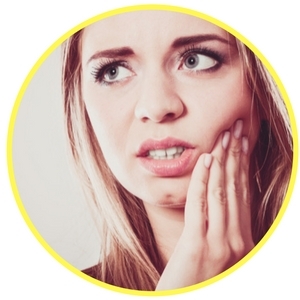 If you are suffering from a dental emergency, we can help you find treatment fast. We’ve compiled a list of emergency dentists available to you in Salinas. Description: Call to speak to an operator 24 hours a day, 7 days a week and schedule your emergency dental appointment in Salinas, California. Description: Specializing in cosmetic dentistry, Diamond Dental can treat your dental emergency. You are able to receive a high level of care even on the weekend. Description: Ross Family Dental is open 5 days a week and open late on Tuesdays and Thursdays. Call to schedule your appointment and receive the care you need. Description: Western Dental has experience in emergency family dentistry, including children. Open late Monday thru Friday and are open on Saturdays, they can easily provide you with treatment you or your family may need. Description: Call or go online to schedule your appointment with NEXT Dentistry. They provide premium dental care and can assist you with your emergency dental needs. Like most dental facilities, Salinas emergency dental clinics provide services that include x-rays, routine fillings, and cleanings. Before heading to your appointment, gather any recent medical and dental records. These will help your dentist to determine the best treatment for your dental emergency. It’s also best to try to arrive at the appointment at least 15 minutes early to fill out paperwork. When you schedule your appointment, make sure the dentist office accepts your method of payment. If you need to set up a payment plan, speak with one of the staff members. It’s also best to make sure they accept your dental insurance prior to the appointment if possible. Dental emergencies are more common than you may think and all of the dental clinics found on EmergencyDentistsUSA.com are equipped to handle most types of emergencies. Common dental issues include chipped or broken teeth, lost crowns and fillings, painful and possibly dangerous abscesses, cavities, a simple toothache, soft tissue injuries from an auto accident or even a fall, and knocked out teeth. Below we discuss some of the most common dental emergencies and some at home treatments you can try to alleviate the pain while waiting to get into your dentist. If you’ve lost ones of your crowns or fillings, clean it gently with water and fill it with an over-the-counter dental cement or denture adhesive. Place the crown over the tooth if possible but do not force it on. Left unprotected, the tooth that was under the crown could continue to decay and become quite painful. 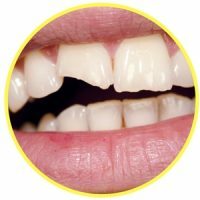 Chipped teeth are one of the most common dental conditions that emergency dentists can easily fix. The first thing you should do when you chip or break your tooth is rinse your mouth carefully to remove any pieces remaining in the mouth. If you can, find the chipped or broken tooth and place it in a small container of milk to bring to your emergency dentist. Use a cold compress on the outside of your mouth, cheeks, or lips to reduce swelling and pain. Apply a moistened piece of gauze to any area of the mouth that may be bleeding. The most common objects caught in teeth are bits of food, bone, or even wood from a toothpick. If you have an object caught between your teeth, rinse your mouth thoroughly to remove the debris. Using floss, try to gently floss the area between the teeth to remove the object. Never use a pin or other sharp tool to pry between the teeth to remove the object. In some instances, you may need an emergency tooth extraction. If a tooth is impacted, as is in the case of many wisdom teeth, a dentist will recommend that it be extracted. If tooth decay leads to infection in the tooth or gum, the tooth will generally require extraction and this is often accomplished by an emergency dentist. It’s important to have a tooth extracted immediately rather than waiting for the dental emergency to become more painful. This can lead to a decreased need for medication like antibiotics and painkillers. 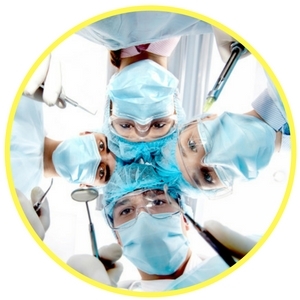 Waiting to have to tooth extracted may cause complications that are both expensive and painful. Generally, it takes two weeks to heal from the extraction. Pain is controlled by painkillers if necessary and you are encouraged to rinse your mouth with warm salt water to promote healing. If you’ve been in a car accident, sports injury, or fall, the emergency room physician can evaluate your condition and ensure that you have no broken bones or other dangerous injuries. They can treat any medical condition that requires attention, but if you’ve had a tooth crack or fall out they will generally refer you to an emergency dentist to repair the tooth because emergency rooms are not equipped to deal with dental emergencies. Emergency dentists in Salinas, California offer a variety of service options including walk-in dental clinics that provide emergency dental care without an appointment on an as-needed basis. Most dental offices offer after-hours and weekend availability. Visit American Dental Association at http://www.ada.org/en to ensure that the emergency dentist you choose is licensed and certified in your area. This is also a good resource for all things dental care. Don’t forget our service, Emergency Dentists USA, is available 24 hours a day, 7 days a week and can help find a dentist near you.